The Consumer’s Energy Company has granted support for West Midland Family Center’s (WMFC) 3’s Preschool program. The $10,000 grant will be applied to offset the costs of preschool education for three-year-old children attending 3’s Preschool at WMFC. Children attending this program receive academic and social skills enhancement while their families become connected to all manner of family support services. The 3’s Preschool provides parents with an outstanding introduction to the benefits of early childhood education and typically, 99% of parents with three-year-old students enroll their child in the WMFC 4’s preschool class once the child has completed the 3’s class. On behalf of the Board of Directors of West Midland Family Center and all the children that will reap the benefits, West Midland Family Center extends a heartfelt thank you to the Consumers Energy Company as they partner in the lives of young children. 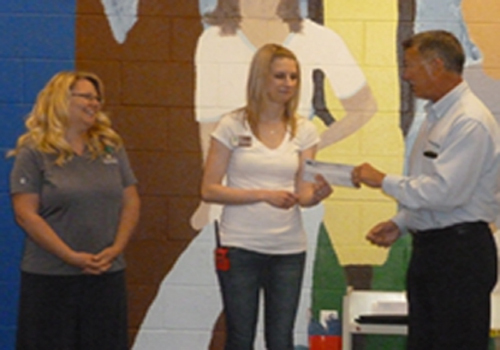 WMFC is ever grateful for the generosity displayed by Consumers Energy Company in support of this important work.